• Heavy Duty 5 Arm Wall Mounted Clothes Airer Dryer Washing Line. 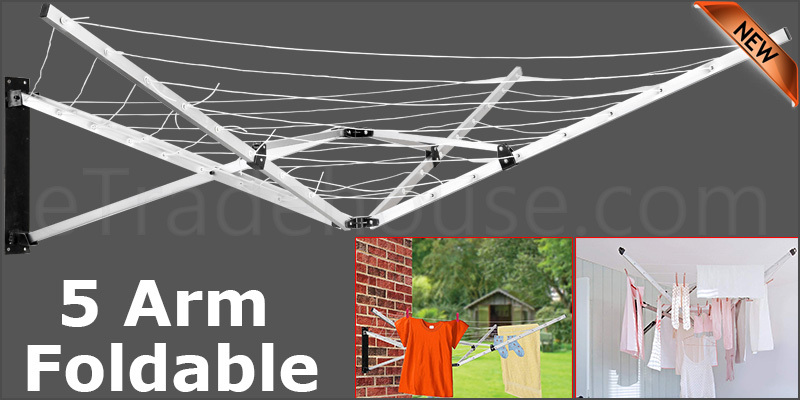 • High Quality Washing Line Suitable for Medium to Large Drying requirements and holds up to 4 to 5 Wash Loads. Item Dimension: 129 x 129 x 51cm approx.